Although Pride Month is coming to an end, we can continue to show support for the LGBTQ community regardless of what the calendar says. Throughout the past month, numerous cities have organized parades and other events, gathering crowds with the same message- to celebrate love and equality. To raise awareness, many fashion brands have designed products that contribute to various LGBTQ foundations. Whether you're participating in a parade or just want to show your support you can style your look with one of these pride products to spread the message of love. Everlane is an apparel company known for its message of equality and peace. 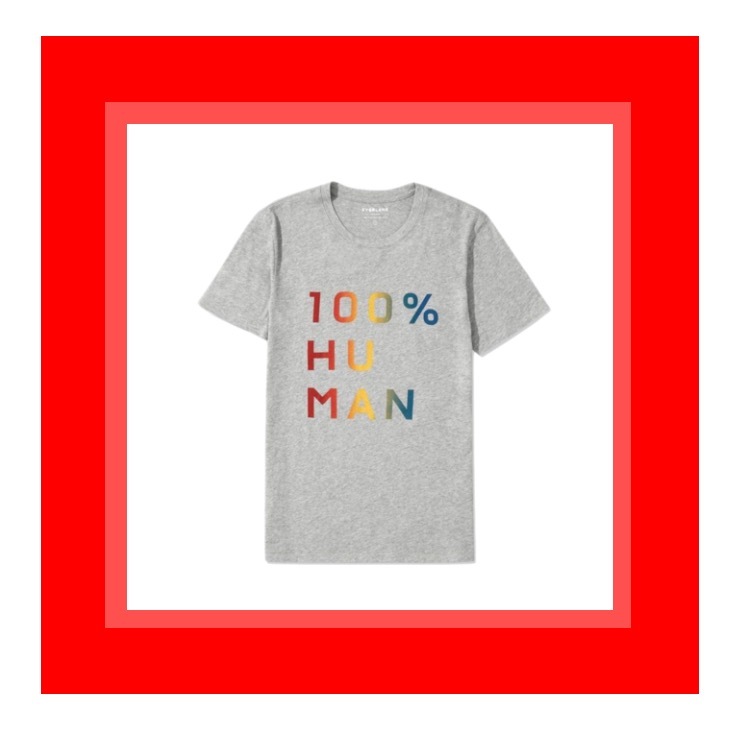 The brand has redesigned their classic "100% Human" tee with a colorful scheme to display their pride. The campaign for the tee features a diverse crowd of individuals who are "outspoken supporters of LGBTQ rights." Some of these people include model/actress Hari Nef and actress Rowan Blanchard. Everlane has set a goal to donate $100,000 to the Human Rights Campaign with the contributions from this collection. While spending the day walking in a parade, slip on a pair of the Nike Flyknit BETRUE running shoes. The shoe features a colorful swoosh which is an homage to pride. Since 2012 Nike has donated approximately $2.5 million and the proceeds from this collection will continue to go towards multiple LGBTQ organizations. Ryan Porter is a jewelry brand known for its fierce messages and customizations. From bracelets to necklaces, their designs display words such as "Girlboss" and "Slay". Their most recent piece is a beaded bracelet in support of pride month. 50% of the funds from each bracelet will go towards the Human Rights Campaign to show their love for all. Urban Outfitters has partnered with the organization GLSEN. GLSEN works to ensure that all LGBTQ students feel safe and respected in their schools. Urban Outiftters has created a Pride collection in support of this cause. All profits will be contributed to GLSEN. Milk Makeup is a gender-neutral beauty company outspoken for its support for all individuals. This month they have paired with The Lesbian, Gay, Bisexual, & Transgender Community Center (aka The Center) in NYC, and created a special limited edition product. The Glitter Stick is a rainbow glitter highlighter that can be worn to help you shine and show your support. Half of the proceeds go directly to The Center. Step into Pride month with a pair of rainbow sneakers. Converse has created a collection with an array of colorful unisex shoes to help you standout with style. All proceeds will go towards LGBTQ youth organizations.